Posted June 23, 2014 at 11:43 pm . 0 comments. Adorama via eBay has the D7100 refurbished for only $799.99. This is part of the on-going eBay Deal Frenzy. 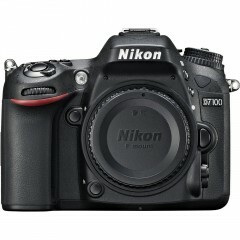 This is a great deal because regular price for the D7100 is $1096.95. This refurbished camera is refurbished by Nikon USA, and comes with a 90-day Nikon warranty. Free shipping and tax only to NY and NJ.